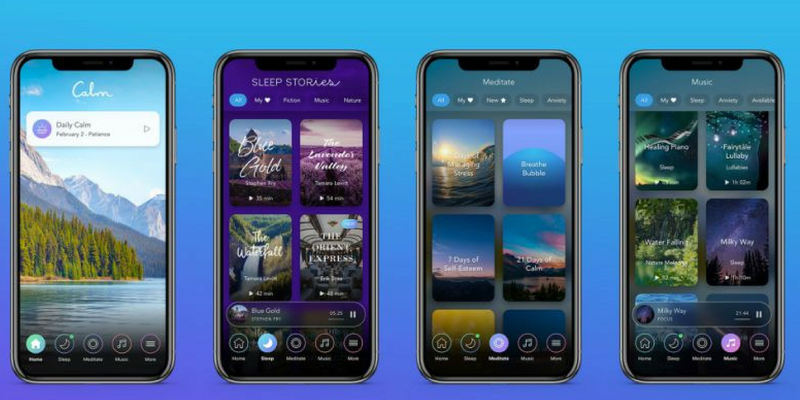 Meditation app Calm is the latest wellness startup to reach Unicorn status, following the successful completion of a $88M Series B funding round, pushing its valuation past the $1 billion mark. It joins the ranks of wellness startup Hims, a direct-to-consumer company selling a range of products to men, including hair-loss and vitamin gummies, which hit the headlines last week following its billion dollar valuation. Led by TPG Growth which has a history of backing wellness brands, including Club Pilates, Suja and Life Time Fitness, Calm’s latest round brings its total funding to-date to $116 million. According to the startup, the cash injection will be used to support international expansion, as well as to grow the brand’s premium content for subscribers. Launched in 2012, Calm, which is currently the number one app for stress and sleep, has been downloaded over 100 million times. Boasting 40 million downloads worldwide, as well as over one million paying subscribers, it currently secures a new user every second. Recently, the San-Francisco startup partnered with XpresSpa, which has outposts at major US airports including Los Angeles, Miami and New York, to offer its users access to in-store benefits and treatments post-flight. By making a $3 million equity investment in the XpresSpa Group, Calm hopes the partnership will help to expand its offline presence and grow awareness of its app and retail products. “The need for mental fitness in our stressed, fast-paced world is clear, and we’ve already seen a tremendous increase in our digital user base, growing 110% percent in downloads this year. By partnering with XpresSpa, we’re expanding beyond our core app offering to reach more offline consumers, and dialling in on a common consumer pain point: traveller stress,” said Calm Co-Founder and Co-CEO Michael Acton Smith, at the time. With a vision to build one of the most valuable and meaningful brands of the 21st century in the fast-growing $4.2 trillion (GWI) industry, Calm says its greatest challenge is waking people up to mental fitness. “Mental health was something people didn’t really talk about until recently. Something is changing really dramatically. There’s a societal shift of people taking care of their minds and being more interested in sleep and self-care,” said Acton Smith said in a CNBC interview. However, there is still a huge demographic that isn’t engaged with meditation and with that comes untapped opportunity. To harness that opportunity, Calm plans to expand into new markets and launch in other languages. Hims, meanwhile, which launched into the UK last week, is also set on growing its international presence. “There’s a demographic of men here that are exceptionally highly-educated, and affluent in technology-forward services,”Chief Executive Andrew Dudum told City A.M.
With unicorn status now on their side, both brands certainly have the backing to scale globally, the question is, will that be enough to create longevity in the face of an increasingly competitive market?